The finale game brought Cabridge uni 2’s to TRF for what would be, a all or nothing run around with the hope of scavenging some sort of result to end the season on a high... The match became exactly as described, lots of ball chasing and counter play against a very organized young uni team. A last gasp goal from Jeremy Elliot switched momentum city’s way for the last 5 minutes, chances came and went to secure a win for city with uni playing kicking back in the dying minutes. The draw was more than satisfactory and will aid drinking performance by the team for the end of season sesh tonight . Thank you everyone for this seasons hard work and commitment. FANTASTIC EFFORT BY VALIANT CITY! HEADLINE: Fantastic effort by valiant City! Travelling with a rather new looking and depleted squad City were up against a side who were still right in the battle for survival and a side that had only lost 6 games all season and conceded only 36 goals, which in Division 1 is a valiant effort. City started well and created several early chances putting a lot of pressure on the Crostyx backline, and opened the scoring when an excellent move was glanced home by Jack Luther. 1-0 at City kept on applying pressure and creating chances, sadly however one short corner to Crostyx lead to an equaliser. 1-1 however soon became 2-1 again to the away side with POTM Ben Plumb dribbling through the Crostyx defence and firing a low shot into the goal. However an excellent spell of pressure from the home side saw another equalising goal for the home side, 2-2. It looked to be all square heading into half time before out of no where Jack Luther fired an excellent effort into the top corner from the edge of the D to make it 3-2 to City! Into the second half and skipper Hindle in his new role of centre back as well as Ling were put under a lot of pressure, despite keeping the home side out for a good 20 minutes a fired ball into the D took the slightest deflection of a Crostyx attacker and they equalised once again and sadly a tiring City conceded once more to loose out once again by 1 goal and once again to the finest of margins. Despite another loss it was a very enjoyable game and credit to Crostyx who put on a lovely match tea after and were great hosts. Congratulations to youngsters Ben Chapman and Elliot Fox who both performed extremely well on debut. City 2’s hosted local rivals (well at least as local as we have in Div 1) Harleston Magpies 2’s on a sunny yet blustery day at TRF. This was a bottom of the table clash with Magpies needing a win to keep their survival mission on track and, city already accepting their fate stranded at the bottom of the table but wanting to play with pride and determination in their final games. Clearly captain Hindle’s team talk had inspired the dressing room to do just that as City started the game brilliantly. In fact it wasn’t long before City took the lead. A crash pass finding young Will Kidner, in only his second game for the 2’s, who delicately deflected the pass beyond the GK. 1-0 to the home side. City dominated for another 5 minutes before the half time whistle blew. This may have been the best half of hockey that city had played in some time but unfortunately the game was not over. City then played some pretty frantic hockey. Passes where going astray, tackles where being missed and players where not being marked. Could this be the part where City fold and give up a lead that they’d deserved and worked so hard for?…. Not today! Magpies continued to press but City finally calmed down and managed to show some of that composure they’d displayed so well in the first half. A few bad tackles saw City down to 10 at times but they still managed to maintain their dominance and with a final flurry secured a fourth and final goal. This time some great pace from City's left side ended in a well taken deflection from another 2’s youngster Ben Withers. The game ended 4-1 to City and it was thoroughly deserved. Whilst it’s inevitable that the 2’s won’t escape the drop, they've still shown their worth and their performance ranks highly in this seasons campaign. The 2s travelled to Wisbech bottom of the league needing a win to keep their chances of staying in the league alive. After a positive start they dominated the match with the midfield of Plumb, Hindle and Fretwell comfortably on top and city deservedly went 1-0 up with Stuart Wardle finishing into the bottom corner from the top of the D. City stayed on top for the next 10mins but couldn’t get the second goal the deserved. Wisbech got back into the match after a slip let a forward in for a good reverse finish to level it up. This proved the turning point as the momentum changed. Good saves from GK Elwes and solid work from the city defence kept the scores level and it stayed 1-1 at half time. An extra man in midfield started to dominate at the start of the second half for Wisbech and more chanes inevitably came their way. Two unfortunate deflections from aerials into the path of Wisbech forwards, a short corner and a late deflection put the game past city whilst they kept being frustrated going forward with some typically strong challenges from the Wisbech defence going unpunished. Overall a disappointing result from a game that could have gone the other way after such a good start and one City need to learn from to improve their game management for next season. The best thing i can say about today is that hopefully we won't have to visit Southend next season. We played really well and they scored to bang average goals. Lingy was amazing but missed the ICE pack. Norwich City seconds played there first match of the year against the Gresham's first team. Norwich started strongly controlling the ball for long periods of time (showing only signs of excess over the Christmas period). Norwich looked to build there attacks moving the ball and the Gresham's players round the pitch seeking to create gaps and then exploit them. Gresham's tried to use their great fitness and pace on the break. In the first half both sides created chances but neither took them. The second half followed the same pattern and city created more and more opportunities eventually took the lead when Tom Hindle converted from penalty spot before Richard Sylvester and Ben Plumb both finished well worked moves from close range. Gresham's would have has a consolation goal if it have not been for Ben Millett’s saving (an undeserved) penalty flick. Ben Withers and Rafe Lechore were both excellent for Gresham's and we look forward to them representing City again in the future. Norwich City 2nd XI were hoping for a different result to last weekend’s as they again traveled to Cambridge for a midday fixture, this time to face Cambridge City 3rd XI. With the two sides starting the day at bottom and second-bottom of the table respectively, both would have been looking to go into the Christmas break on a high note. Norwich City started the game better than they had in the previous week, but were again the first side to concede. Both sides continued to take a cautious approach in the early stages of the game and midway through the first half Norwich equalised with a well-worked goal. Richard Silvester picked the ball up around the opposition’s 25m line and drove to the by-line before deliberately squaring the ball to Rob Cooke, who converted - Jeremy Elliot offering a good decoy run to create space behind. The midfield and forward line linked to well to open up the Cambridge defence, with Jeremy Elliot and Rich Green creating good chances. However, it was Cambridge who went into the break ahead. Norwich failed to clear the ball from a seemingly innocuous position and Cambridge capitalised, scoring off of the rebound of a Ben Millet save. Norwich conceded again just minutes into the second half, this time from a short corner. After having a fair share of possession and opportunities in Cambridge’s half, Norwich conceded once more, this time the Cambridge forwards combining well on the break. Norwich continued to press high and enjoyed the better of the territory in the second half, with the pressure leading to several short corner chances. Chris Perry bounced back from a heavy knock in the first half to convert one of the shorts from the top of the D, making the score 4-2 to Cambridge. Norwich continued to commit to defence and attack as a team up to the final whistle, and were perhaps unfortunate not to score a third goal. Cambridge ended the game as deserved winners as Norwich were once again left frustrated by their costly number of errors and squandered chances. Norwich pick up their sticks again on the 5th of January for an away fixture against Gresham’s School starting at 1pm. 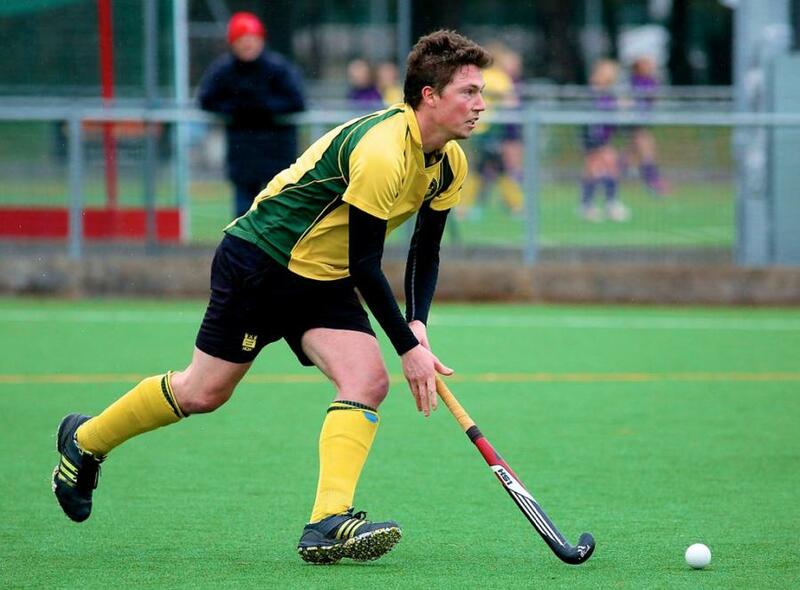 Cambridge University 2XI started strongly giving the Norwich City players very little time on the ball. This pressure resulted in Norwich City giving the ball away too easily, with Cambridge University capitalising with two quick goals, which Norwich City will feel could have been avoided. After going down two-nil, Norwich City started to come into the game, with improved ball retention and some slick passing. Richard Sylvester received the ball on the right wing and managed to turn the defender who‘s subsequent stick tackle resulted in a Norwich City free hit just outside the Cambridge University D. A quick pass to Crichton resulted in a ball into the D which came off a defenders foot. Surprisingly the umpire played advantage after a weak shot from Hindle. With everyone looking at the umpire, the ball came back to Perry who was able to find a pass back to Hindle, 5 yards out from goal. With a great first touch, Hindle was then able to play a deft flick over the keeper, to bring the score to 2-1. Spurred on by this, Norwich City continued to play some good hockey, with the game being in the balance as the half time whistle went. Unfortunately Norwich City were unable to make the most of the momentum gained at the end of the first half. Cambridge University scored a slick goal soon after half-time when they overloaded the right hand side of pitch after a missed Norwich City tackle. Whilst the Norwich City defence scrambled, some one touch passing resulted in the ball going from the by-line to an unmarked attacker on the penalty flick spot, who was able to finish in the corner passed the dive of Millett. Despite being two goals down, Norwich City continued to play some good hockey and were rewarded with an number of short corners after some good work from Fletcher and Cooke. Unfortunately Norwich City were unable to reduce the deficit, with some slightly wasteful finishing. With 10 minutes to go Cambridge University made the game safe when a cross from the right by line came off a Perry foot. With the ball looking to loop over the bar to safety, an outstretched stick from a Cambridge University forward, slapped the ball into the top of the net. Overall Norwich City will feel that a slightly sluggish start ultimately cost them, and despite being up against a well organised and hard working Cambridge University side, an opportunity was missed. A bright but cold day brought the likes of Crostyx 1XI to Norfolk's shores and the team were given explicit instructions from the skipper to build on the performances of the past few weeks and don't lose concentration at the pivotal moments in the match. The team saw some familiar faces returning to the fray in the form of Matt "I haven't got any friends visiting this weekend" Fretwell and Ben "Earning Brownie Points with the missus" Plumb slotting back into the midfield and Harry "Fancy a game this weekend" Gill adding to the forward line providing some much needed dynamism with the visitors expected to be a well drilled side given their recent results. The match started well, as City's goal remained intact after the first minute. Chances were few and far between for both sides throughout the rest of the half. City's only chances came from Chris "Love an aerial" Perry's long ball tactic launching some javelin like passes for the forwards to deal with and the visitors not adapting to the bouncy slick pitch at all well. One such pass resulted in an early run from Jeremy "Dad Bod" Elliott which saw the resultant cross fired across the face of the goal with only Richard "Squaddie" Sylvester in the vicinity but sadly he could not apply the desired finish. The visitors had a number of short corner opportunities throughout the half but their stick stopper was not adapting well to the slick pitch and Ben "Got myself a haircut before the game" Millett was not really tested as a result. The half ended all square with all to play for and City very much warming up into the game. City started the second half brightly creating a flurry of opportunities but with little reward. The deadlock was finally broken when a good midfield move allowed Elliott to enter the circle and get away a reverse stick shot for it to find the gaping hole between the visitors keepers legs and into the far corner, 1 - 0 City. City proceeded to push for a further goal with Richard "Got me a trailer" Green picking off passes a plenty and the tireless running of Fretwell and Plumb keeping up the pressure on the visitors, however, it was the visitors who were to strike next on the break with a bobbled shot deceiving the unmoved Millett, 1 - 1. Having conceded, City were then spurred on and proceeded to push for further goals which resulted in a series of free hits in and around the visitors 25. Elliott saw a rare gap in the visitors defence and proceeded to take the chance quickly, driving for the base line, and firing a stinger cross across the face of goal where the gallant Gill was waiting to tap in from a couple of feet, 2 - 1 City. Possibly one of the pivotal moments of the match followed with arguably the visitors best player, and captain, being struck on the knee and having to depart the game from a somewhat archetypal reverse stick cross from Elliott which needless to say did not remain upon the floor. The visitors had to quickly re-jig their defence and with their keeper becoming ever increasingly bold was soon found out of position when Gill took a side line ball quickly to Elliott who took one touch, turned and fired off a sweetly struck shot only to see it hit the sprawling keeper, trying his best to cover the open goal, and nestled into the net, 3 - 1 City. With a two goal margin, and only 7 minutes left on the clock, it seemed City were easing to a positive result and for City to gain the first 3 points since the opening game of the season. But, in true City style, they liked to keep the spectators on the edge of their seats. Another break against the run of play saw the visitors put 5 passes together and find themselves entering the D with time to get a shot off, a further bobbling shot resulted and foxed Millett to cross the line and keep the visitors in with a chance of grasping a point. As the visitors continued to push hard for the equaliser, Clive "the only Armenian In the league" Crichton, Jim "used to fit my wife beater vest" Pallister and Perry marshalled the defence and controlled the dying minutes of the game to give City a well deserved win. REPORT: Late on Saturday, the 2s headed down to Harleston for a “local derby”; despite this fact, “grizzly” Silvester still managed to turn up 9 minutes late, surely he couldn't get TYFC again??? After losing the toss, city had to play the first half with the beautiful evening sun right in their faces, but this wasn’t the reason for Magpies going 1-0 up, as sloppy defending following a short corner saw the Magpies forwards lining up at the back post, eventually managing to get the ball in after Millett had made the initial save. City started to get back into the game, and created a couple of opportunities. However, we went into half time a goal down and a man down, as Tom Bailey got a 10 minute yellow for lashing out extremely violently at his opposite number by simply running into him. Second half was a more even affair, as we created more and more chances, finally being rewarded when Chris Perry’s worst dragflick of the day went in. After that both teams pushed for the winner, and Magpies scored another close range goal to make it 2-1. Another one of our short corners hit the post, but Harleston were strong on the break and probably should have had a flick after Millett produced a horror tackle on ex-city player Dave Skinner, but throughout the game the umpiring decisions had been bewildering so nothing was given. In the last minute we produced two brilliant chances to salvage a point, but in the end we saw one saved and the other cleared by the postman. Coming out of the game we were disappointed that we couldn’t get something, but positives must be taken because we are pushing teams right until the last minute again and again and deserve more points than we have at the moment. City’s Mens 2s played well in a thrilling home tie against Upminster, but their hopes of a win were ultimately thwarted by a late Upminster goal. City started slowly against Upminster on a bright afternoon at Taverham and very quickly found themselves two goals down. The first was from a short corner where Upminster rocketed a drag flick into the top right hand side of the net, leaving keeper Ben Millett with no chance. Shortly after, Upminster broke at speed down the right wing and smashed a bouncing ball across the D which their centre forward somehow deflected into the goal. City then began to play, stringing passes together to stretch Upminster and having the bulk of the play. City’s first goal came from a short corner, with the ball coming out to skipper Tom Hindle on the left, who stuck the ball sweetly past the keeper and against the back board. 2-1 down at half time, City felt that they were still in the game and continued to up the intensity. City’s pressure paid off, with Chris Perry’s drag flick from a short corner evading the keeper for the equaliser. As players got tired, discipline deteriorated and City suffered a couple of yellow cards. But still City pressed, narrowly failing to convert a couple of chances. Eventually City took the lead when Harry Paterson intercepted a clearance, drew two players and slipped the ball to the unmarked Mark Fletcher who slapped the ball home. City looked secure at 3-2 up, when Upminster struck back with a breakaway goal, much to City’s frustration. City continued to press, but with no luck. All in all, it was a good effort from City 2s which should have ended with a win. Man of the match went to Harry Paterson who covered loads of ground and caused the opposition all sorts of trouble around the D.
After an early start and a 10 minute wait in the freezing cold for Richard “grizzly” Silvester, City travelled down to Lee Valley Hockey centre to play Wapping 3s, who were 2nd in the league coming into the game. After Clive had “lost” his phone coming out of the changing room, we warmed up and set foot onto the pitch; not the Olympic one unfortunately but still a slick, blue water-based pitch. The game started with city definitely in the game, creating a few good chances in the process; including a flick from Perry hitting the post off a short corner. However, we were defending for most of the first half, and would have been a few goals down if it hadn’t been for the heroics of Millett and his defence. Despite this, we went into half time 1-0 down, as another one of their breaks found it’s way through to the top of the D, and their forward caught Millett off guard in goal to score. Second half was yet more defending for City, and the midfield line worked especially hard to dampen the threats, certainly deserving their “engine” status. After another sloppy goal conceded by us, we started to push forward again and deserved a goal, as a couple of chances just went the wrong side of the post. Overall a dogged performance but a disappointing 2-0 loss in the end, as if a couple of mistakes had been erased then we may have got something out of it. On what felt like the first day of winter, city hosted Wisbech, a team city had to beat to stay with the mid table pack. In the pre match team talk Captain Fatan (Hindle) was keen to highlight the previous two games which had seen Norwich concede early goals to lack of concentration, something he didn’t want to happen today. City started brightly, moving the ball around the back and linking well with midfield, city seemed in control until a couple of sloppy passes giving Wisbech time to close down, intercept and break away putting Wisbech 1-0 up. One man band Harry Gill then stepped up to win the ball in midfield and immediately turned to run, playing a through ball to Ben Withers who quickly returned for Gill to slot in the corner of the goal. City realising Wisbech had a danger man quickly man marked and putting in some hefty tackles, Hindle leading the way using his axe to chop him down, followed by Scotty making a beaut of a reverse tackle but in doing so bounced off the player injuring his knee, game over for Alex Scott. With Norwich down a key defender a loose clearance ended up with a converted short comer, Wisbech 2-1 up. Norwich again controlling the game and winning several short comers with the Wisbech keeper making some impressive saves, up stepped Chris Perry for a monstrous flick 2-2, the goalie couldn’t keep that one out. Norwich tried to push for a winner but a lack of concentration from Dave Fletcher on the side line saw him take a few minutes in the sin bin with a yellow. Wisbech made use of the extra man putting the pressure on the city defence, a wayward pass leading to a short corner to Wisbech, they made city pay, 3-2. Norwich looked for a deserved 3rd goal in the remaining minutes but Wisbech held possession well not giving any chances away. The match this week was against a Sudbury 1st team, away at their lovely pitch, with only 12 players, due to Sam B and Jez being taken by the 1st team. We knew it was going to be a hard 70 minutes due to info from the previous game. On a very warm autumn day, the match started well with both teams showing lots of compassion and hard work, we were caught out by a counter-attack with their first goal putting them 1-0 up. However, City picked themselves back up and got one goal back through Ben Withers. Unfortunately, Sudbury got three more goals in the first half. We had a few chances which we could have scored from but we could just not finish on the day. After a very motivational speech from Hindle at half time, the squad came out wanting another goal, but the Sudbury team defended well to keep us from scoring and attacked us on the counter-attack. The last 20 minutes of the match City dominated possession and for the most part looked like the better side but Sudbury capitalized on another of their counter-attacks, which the city defense and Millett could just not save. The final score was 5-1, but it could have been a lot closer. Never-the-less the squad that traveled did very well and played as a cohesive squad with good communication and work rate. City hosted Old Southendians on a beautiful autumnal day at Taverham. The game was delayed however by the away team struggling to get their team to the pitch on time. With that in mind City started poorly and within the space of a minute they conceded a very sloppy goal. Poor marking and bad communication saw the ball tapped in over the line after millet had made the initial save. 1-0 to the visitors. City responded well with an excellent 10 minute spell that saw them create 3 good chances, a better final ball or first touch could have levelled the game. City went into half time trailing the visiting side but with plenty of positives to take from the first half. A tweak in personnel and some words of wisdom from the first half’s best player (according to the opposition) Hindle meant city started on the front foot. The first 15 ebbed and flowed and again City had their chances. The clearest coming from Richard Green who’s pass come shot ended up wide of the post. Obviously this wasn’t his fault though as he was using an unfamiliar wand as he’d forgotten to bring his own to the game. The game then became a bit frantic with both teams and both umpires getting a bit hot under the collar. A heavy handed tackle on Elliott provoked a bad reaction that saw both players take a trip off the pitch for a rest. A poor display of discipline saw Hindle take a breather and then later a bad challenge by Gill also saw him take a break in the sin bin. All this however was nothing compared to the controversy that followed. The visitors scored the winner with a very dubious decision. The ball was areal’d to the top of the City D for a forward to run on to with Millet the only player between the ball and the City goal. The two players arrived simultaneously at the ball and the opposing player hung out a stick to score a well taken goal. Was this not a free hit to City? Well in short yes but unfortunately this was only found out when chatting to the official after the game. City went 2-1 down. City had a last minute short corner to try and get a deserved equaliser but the routine let them down and they ended the game with nothing. Despite Crichton emptying a whole water bottle over the dry sticky pitch. City left the pitch feeling gutted and as though they deserved something from the game but another industrious performance wasn’t enough this time. Second half was much the same, until the arrival of super-sub Hindle. Moving around swiftly across their 23, he was the recipient of some excellent through-balls which began to stretch their defence, something that both last week’s and today’s visitors had been very good at doing to us. After having a fairly even 10 minutes of play; Potters Bar sent a long ball in, which somehow crept over the line for 2-0. Once again we came under increasing pressure and a couple of decent saves from Millett kept the score as it was, even after Rich received a green card. City pushed forward in the final few minutes, but never really tested their keeper and the game finished 2-0. A tough game against another well-drilled London side, showing us we have to play the game smart. However, the effort from some of the players today was admirable in horrid conditions. REPORT: Newly promoted City 2’s travelled to Broxbourne with the bare 11 for the Div one clash against an established Broxbourne side. The very picturesque surroundings & pitch seemed to calm City’s nerves. They started with good shape & well organised formation. Some great great distribution from the back from left & right halves Bailey & Fletcher. The pairing of Bingham & Fretwell interchanging well. With the influential Hindle mixing it well with the opposition. City broke with the usual Zig zag run of Cheesman from deep, before being fouled for a short corner. A Sam Bingham deflected strike puts city 1-0 up. City looked comfortable with the ever dependable Pallister & Crichton coping with any pressure applied by Broxbourne. Unfortunately City concede a short corner & Broxbourne capitalise to make it 1-1. City break from the right with a ball from Fletcher to the ever agile & deceptively quick Silvester who powers his way to the byline before cutting the ball back to the P-spot which hits a Broxbourne foot. Short corner given, a well worked short corner with a deflected strike from Hindle. City 2-1 up! Ben Millet in the City goal is tested on a number of occasions but with feline like reactions keeps City in the game. Broxbourne push forward in numbers to draw level 2-2 just before halftime. The 2nd half see’s a different Broxbourne team pressing higher & with greater numbers than before. Silvester & Cheeseman with some energetic & purposeful runs stretch Broxbourne. Fretwell & Bingham interchanging well. With Broxbourne making the most of their subs using the fresh legs available. Millet has to be on top form to make several successive saves. Unfortunately Broxbourne find a way through & take the lead 3-2 City are pinned back. The fresh legs of Broxbourne are starting to show 4-2 another goal shortly after 5-2. City gain a short corner. Another well worked corner results in a scramble,Crichton is first to react tucking the ball away to make it 5-3. Broxbourne make it 6-3 which slightly flatters their performance. City hold their heads up high in the knowledge that with a full squad & at home. The return fixture should cherish all 3 points! On Saturday the newly promoted 2nd team played Cambridge City 3rd. The game started very well with Cameron Cooke missing and early chance in the game, however he redeemed himself by passing a through ball to Harry Gill to deflect the ball into the back of the net for the games opener. At the other end of the pitch Eddie Darley made a fantastic save to keep the score 1-0 at half time. In the second-half Cambridge city looked very determined to score a goal, however there was heroic defending from Scott, Crichton and Pallister. After a shaky few minutes Norwich started to play how they played in the first half. After a well worked move from the back 'moving the ball into midfield' Harry Paterson Passed the ball to a waiting Cameron ready to score a goal (which obviously happened) 2-0. Soon after this. Cambridge heads went down, and Norwich took advantage of this by scoring the third goal by Cameron,3-0. All In all it was a fantastic match for the 2nd team to get there first win in a new league. CITY SETTLE FOR DRAW IN HARD FOUGHT FRIENDLY AGAINST HARLESTON. HEADLINE: City settle for draw in hard fought friendly against Harleston. REPORT: City welcomed Harleston 2/3 to the Taverham H20 this week in a pre-season friendly. The game begun and City started well applying early pressure in the opening minutes of the game. A few early short corners for City brought chances but City were unable to capitalise. City continued to move the ball around well. Fast transfers around the back four led to city opening up spaces in wide areas and allowed city to run around the back of the Harleston defence. Stuart Wardle notably using his rapid pace to get in behind and create more chances which City were unable to put away. As the half drew to a close, Harleston had a few chances on the counter, as City began to tire, but City managed to hold out. Tom Cooke a welcomed addition to the back four ,due to the 1's not having a game, made some crucial tackles preventing Harleston getting on the score sheet. City started the second half not quite firing on all cylinders. The extra legs Harleston had brought to the game were wearing City down. After a dominant 10 minutes for Harleston they finally opened the scoring. 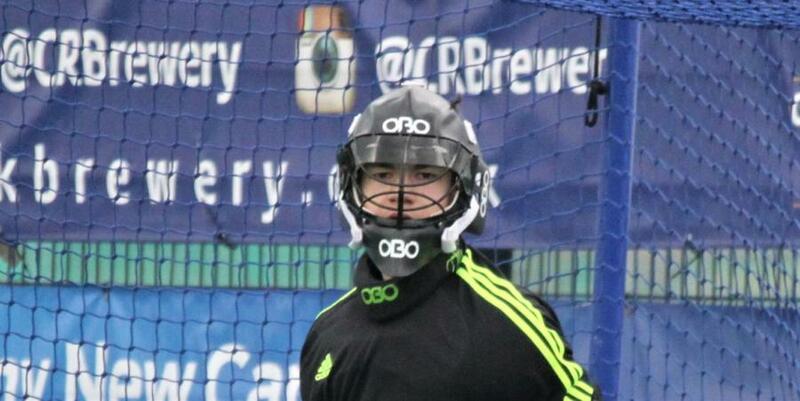 Ben Millett made some outstanding saves in the City net preventing the opposition from increasing their lead. It wasn't till later on in the second half that City began moving the ball around nicely once more. Dan Cheesman found space in the D and finished well putting City back in the game. The closing 5 minutes were end to end, with neither side managing to grab a late goal to seal the game.